Reconciling humanity and the oceans. This is the motto of the ‘Explorations of Monaco’, a large-scale scientific project under the Monegasque banner which was initially launched at the Oceanographic Museum. At a rate of three missions a year, until 2020 Monaco Explorations will continue to study marine biodiversity in oceans around the world aboard the ship Yersin. 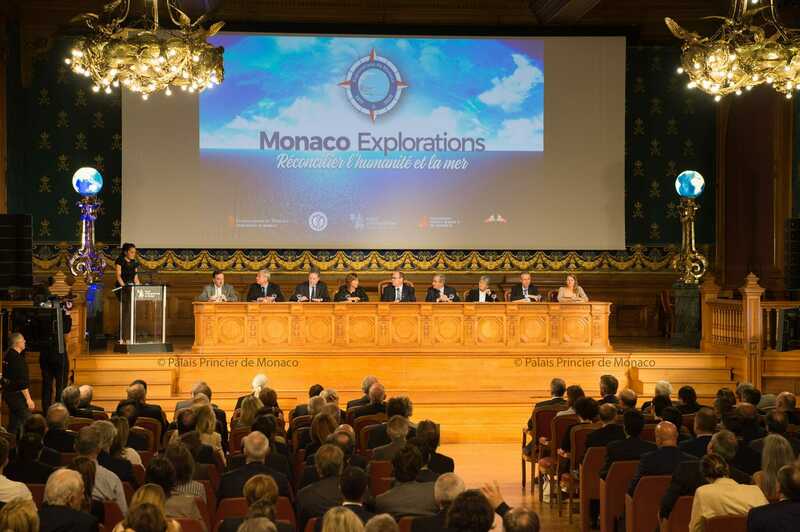 In so doing Monaco is carrying out its long tradition of great explorations over the past centuries: to learn, to understand, to educate and to promote action. Prince Albert I had his vessel Princess Alice as his sea-faring companion, Prince Albert II has Yersin, an 80-metre-long unique ship, named after the Franco-Swiss explorer Alexandre Yersin. Yersin was provided to Monaco Explorations by Francois Fiat who is reported as saying his main motivation was one of adventure. The vessel is respectful of the environment in terms of its emissions and classed as a “Clean Ship.” She is capable of sailing for ten days without any waste and for more than a month virtually, in complete self-sufficiency. Yersin is a true floating science department and think-tank, which can accommodate 40 people and has at least two major laboratories, conference rooms, workshops, additional labs and modern equipment. An environmentally-responsible boat in the spirit of the project. The Missions of the Yersin headed by Robert Calcagno receive input from a Scientific Steering Committee of ten experts culled from the international community. Among them are Yves Frenot, Director of the French Polar Institute, who is reported as emphasizing that the role of an adventure like this is to be complementary, that these are long-term projects that cannot be done with national fleets, which respond to more punctual, targeted and repetitive calls. The CNRS biologist Françoise Gaill, another scientist on the committee, reflects on the importance of marine biodiversity and is reported as reminding us that the ocean is, indeed, the last continent that we still have to explore. Through a multidisciplinary approach bringing together the best experts in the natural and human sciences, an ambitious campaign is now well on its way, integrating the latest available technologies to support the work of marine researchers around the world and to build a new vision for the ocean. After crossing the Mediterranean in September, 2017 the first mission will take place in the Atlantic Ocean, in Macaronesia, West of Africa and in Europe. Research will be focused on the monk seal, an endangered species in Madeira and the giant lizards of Cape Verde, which have become almost non-existent. It is the area that Prince Albert I had already explored, and where, 120 years later, the Monegasque expedition will return to. “This expedition is part of an international effort to increase awareness about what the oceans bring us. Our survival ultimately depends on them.” said Prince Albert II. Photograph: Institut Océanographique. To establish this project in accordance with the values of the Prince, the government is reported to have invested more than three million euros in 2017 into the project. The sum was doubled by the contribution of private donors who wished to help the adventure. HelloMonaco brings you more reports of Sovereign Prince Albert’s desire to relaunch scientific expeditions under the Monegasque banner and particularly the current three year planned exploration by the Yersin. When asked about how it all started Prince Albert’s reported recollections were of encouraging discussions among Robert Calcagno, Bernard Fautrier and François Fiat, the latter being the ship owner of the Yersin, about the yearning for a new scientific expedition to focus on sensitive places of the planet. It is Francois Fiat who has made his vessel available for the scientific expeditions. Admiration for the Yersin as a formidable vessel and acknowledgement that the owners, members of the Yacht Club, are wonderful people who love the Principality featured in the Prince’s reported remarks. Obviously there is great pride always detected in the Prince when he talks about his great grandfather, the original explorer, Albert I who initiated everything and the ship Commander, the highly respected marine diver and educator Jacques Cousteau, who was sensitive to the mounting pressures on certain marine species and sought to increase awareness that they needed to be protected. Prince Albert repeatedly reminds us, both from public and private platforms, of the need today to continue to spread the awareness of the dangers facing the oceans and to marine species. In collective agreement with the members of this project, the Yersin will try to visit some of the last and best preserved places in the world – notably the Coral Ecosystem or the marine protected areas in the Mediterranean. But the expeditions will also cover all the seas, with real scientific themes at each stage, and the findings will be communicated. This was the essence of the Prince’s reported remarks when interviewed. The important clarion call is that the public needs to be more aware, that there is still a long way to go before most people understand what is happening in terms of pollution, climate change, the extinction of certain species, overfishing, the need to protect ecosystems that are vital to the health of the oceans. Dangers are everywhere and threaten future generations. This is the crux of the many messages of Prince Albert and that he helps promulgate as often as possible and through a wide variety of public and private forums and through the media and reported in interviews with the press. It is becoming obvious to many, thanks to the Prince’s efforts to remind us, that actions are necessary before it will be too late. Even if scientists do not always agree on the different scenarios there is likely very little time to minimize the impacts. And the Prince continues in his press interviews and through forums including the ones at which HelloMonaco attends that it is indispensable that there be pedagogical programs encompassing these explorations to reach younger generations, especially school children. Necessary also are communications in different scientific spheres and work with local partners to raise awareness and achieve better results. The Prince’s thinking also dwells on the importance of the involvement of the inhabitants of marine environments and why they must take part in the project to make it work. Prince Albert I spent months at sea discovering. It is unlikely that Prince Albert II could do this given his duties for the Principality but we can imagine that in a small part of his heart he would like to experience the Oceans on lengthy voyages as did Prince Albert I. When interviewed, reports reveal interest of Albert II in visiting the Line Islands for the first time and to return to the poles and to rediscover the Galapagos islands and see how their environment has fared. 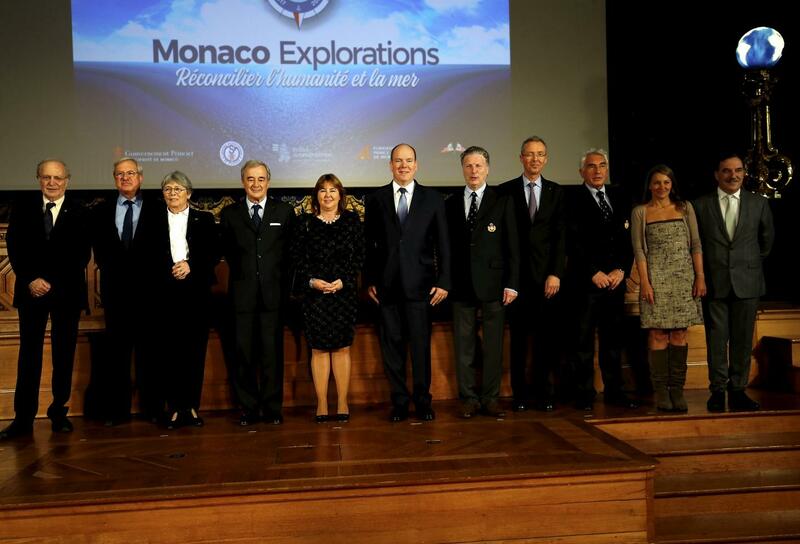 Monaco invests a significant amount of money in these expeditions without brand sponsors; it is part of Monaco’s international role and a duty that Monaco and Prince Albert II embraces. People are inspired by the vision and contribute additional funds that make the whole venture possible.